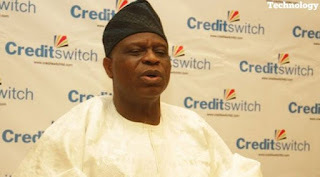 The chairman of Credit Switch Technology, Chief Ope Badamosi has been reportedly murdered by his own cook in Lagos. Residents of Onikoyi Lane, Parkview Estate were in the early hours of Wednesday thrown into mourning as the news of the death of Chief Ope Badamosi, Chairman of Credit Switch Technology, came to them as a rude shock. According to one of the neighbour’s of the deceeased septuagenarian and father of four; who pleaded not to be named, “I heard a scream from the wife, so I ran outside to their flat and saw her screaming outside with people holding her as she said that her husband had been murdered. When we got inside, we saw the man in a pool of blood with the volume of music increased to the highest level. “She attempted to call him back but he wasn’t picking up his phone. On getting home, the security was still asleep and couldn’t even respond to her car horns till she got down from her car, to bang on the security’s window; that was when the security eventually woke up to open the gate for her. But unfortunately, on entering, she met her husband lying in a pool of his own blood and couldn’t find the cook who just resumed work on Sunday anywhere. “That was when she screamed out for help and sent the security to help her run to see if he can still apprehend the cook. Perhaps because of fear, the security who was just employed on Sunday as well, also took to his heels upon the news that his new boss had been murdered”. In an interview with Nigeria Police Force Homicide Investigation Team officer who pleaded not to be named, he said: “This is very wicked. In fact, that guy must be a devil itself. He stabbed the man in multiple places. I was the first to enter the apartment. In fact, the music was so loud that even if you were to be killing 20 people here, no one would hear them scream. I was the one that put off the sound upon entering. A former security guard at the apartment, who pleaded not to be named, spoke with THISDAY. He said he was sacked from his job after working for just a month with no reasons given to him and was paid off by the deceased on the eve of the incident. “I just returned from police questioning. I was the one guiding that house before. That oga is a very nice man… When I resumed work, I realised that there wasn’t a manifest where security can keep record of any visitor that comes around. So I developed that,” he said, adding that he realised that immediately he started doing that, he began to have problem in the house, consequently leading to his sack. 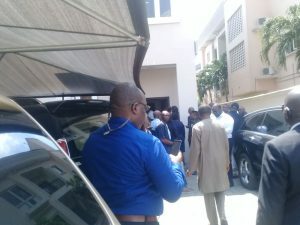 The Divisional Police Officer (DPO) of Ikoyi Division, Ikoyi-Lagos, SP Mustapha Tijani, in a brief chat with THISDAY, said an official statement would be issued by the police as soon as they were done with investigation, “but right now, efforts have been intensified towards tracking down the cook who is at large.